Next review We got a great deal at BookVIP.com! First and foremost, please note that as a result of our supervisor’s attempts to help you PRIOR to your posting, you have received a full refund. 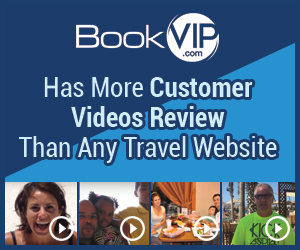 We were a bit surprised to see your review since you had already spoken to a supervisor here at BookVIP.com regarding your request to cancel the vacation package. The supervisor had already reached out to the Resort on your behalf, and we were awaiting a response from the resort. BookVIP could not have known that you were not in possession of a valid passport since you agreed to the Reservation Details via electronic signature when you made your reservation. All qualifications, resort fees, taxes, deposits and penalties are clearly stated on the Reservation Details/Terms and Conditions governing each vacation package which are reviewed with the customer during the sales call and then must be accepted by the customer via electronic signature in order to finalize the booking and have the dates sent to the Resort. The Terms and Conditions are also located at the bottom of each resort offering page on BookVIP.com’s website. Review #1015409 is a subjective opinion of Daneppetersen456.